Here’s what often happens: someone in a church notices that the stained glass windows “look a little off.” Maybe a part seems to be crumbling, or air is being let in through a mysterious chip or crack. Perhaps dirt and grime has built up over the years and the windows have become noticeably dark, not allowing light inside like they used to, and that’s making the church’s interior look less attractive. Whatever the reason, someone noticed something that “seemed off.” That’s when a leader and/or committee in that church figures, “We’d better do something about it.” But what? 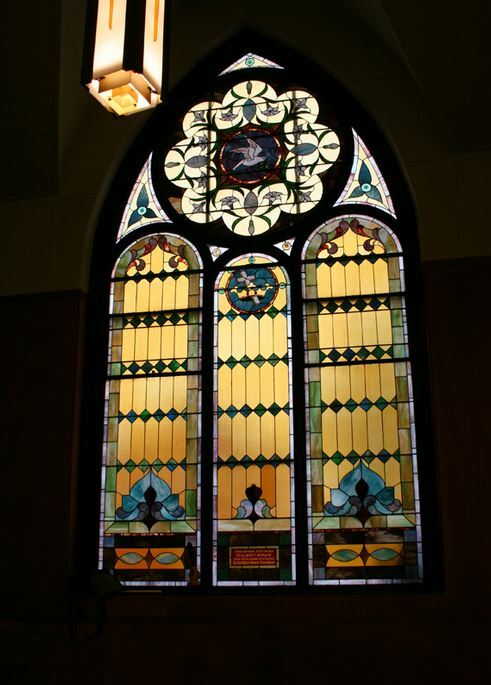 Stained glass window repair and restoration is not something most churches take care of “in-house.” That’s because typically no one in the church knows anything about that particular subject. So… they end up calling Cumberland Stained Glass with questions. And that’s a good thing: Cumberland is in the business of fixing, improving, cleaning, installing, removing, and restoring stained glass windows. It’s what we do, and we do it well. First things first: someone at your church should ask for Cumberland to inspect the window or windows in question. During an inspection, the structural support system is looked at, along with the lead came matrix and the condition of the paint. How’s the protective glazing system faring? Is the frame holding up or not? Are there any holes in the glass that aren’t easily visible to the naked eye down below? An inspector is likely to take photographs of the window(s). A report can be assembled and then shared with the church, detailing what was found and what needs to be done/could be done. When it comes to repairs, these services are typically done on-site, if possible. Sometimes parts of the window will need to be removed for repairs. Restoration can involve removing windows from their framing– and taking them away from the church to be worked on and restored. Stained glass window repair and restoration might involve steelworkers and/or woodworkers– or at least people with knowledge of such things with regards to the structural support systems. Glazing and insulation are important factors, too. 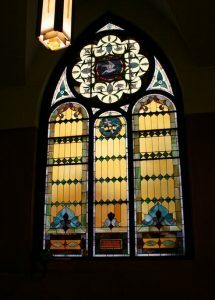 Need stained glass service? Call Cumberland at 717-691-8290 today.